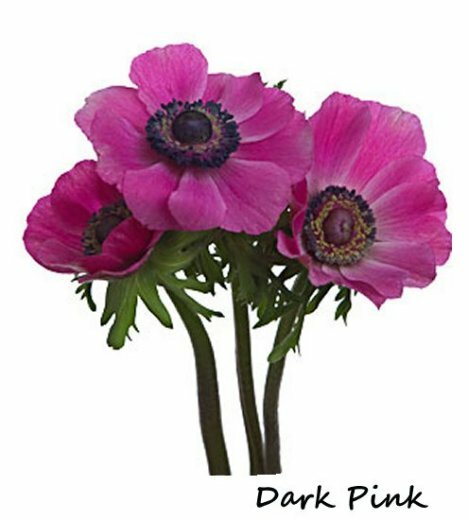 Anemones (also known as Poppies) are available in white, red, dark blue and a deep burgundy (almost black). Don't think that these flowers are "wilted" upon arrival - the bent neck is characteristic of these flowers. 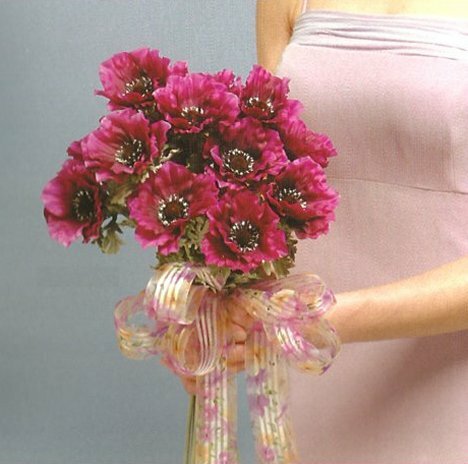 This simple bouquet just has 15 solid color anemones and is tape with stem tape, then ribbon wrapped and tied with a bow. When you receive your anemones, cut the flower stems under water and remove any faded stem base. Remove all foliage that will rest below the water line. Place in a clean container filled with tepid water. It is best for the flower is the water is treated with a flower preservative. Keep the water level fairly low, but with the cut ends always being under the water line. Keeping the water too high may cause the stems to soften and become rather slimy. Give a fresh cut on the day of the wedding. 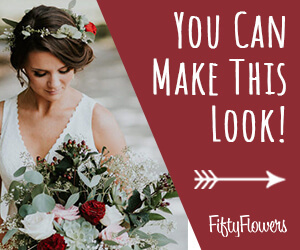 Store flowers in a cool area away from direct sunlight until your event. Recommend frequent misting with flower sealant such as Finishing Touch. Helpful if you run a cool mist humidifier in same area as the flowers are stored.